1. The Hawaii Martin Mars Air Tanker was called into service again in the Shuswap in 2003. 2. Clear out the ground crews! The Air Tanker is dropping! 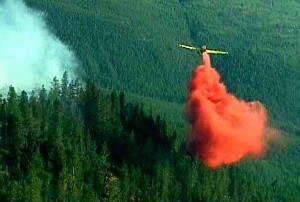 As in all major forest fires in the Province, fire retardant was used to control the Silver Creek Fire. 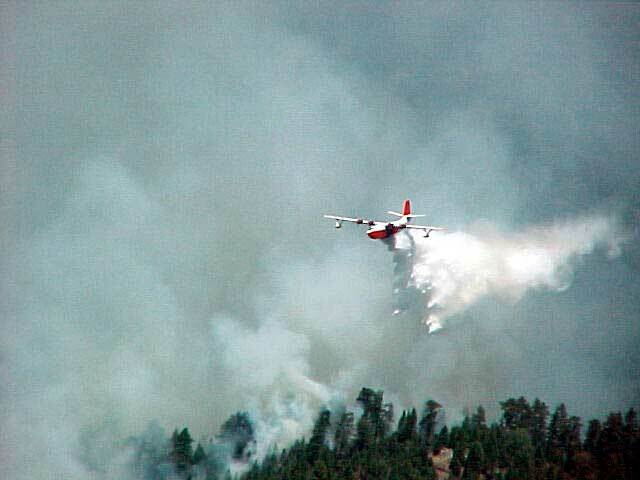 Air tankers and helicopters dropped retardant in the path of the advancing fire, reducing the forest flammability. The retardant coated the forest fuel and slowed its progress long enough for firefighters to take action. 3. 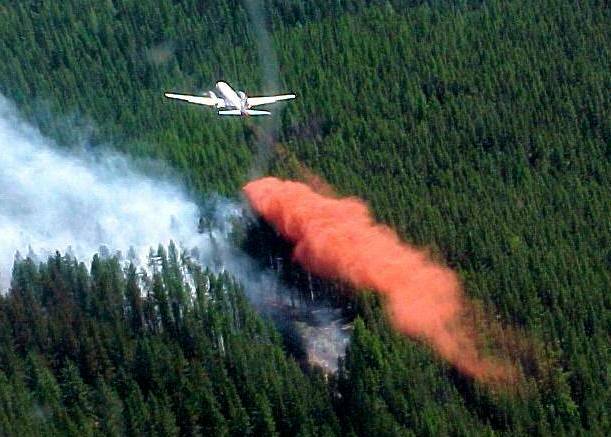 Bright coloured retardant is just fertilizer. It encourages new growth after the fire. 4. Pilots are required to drop their loads with precision. Applied by ground crews from water bags and relay tanks, delivered by pumps and hoses, or by helicopters equipped with buckets or belly tanks, water is an important suppressant in the firefighter’s arsenal. 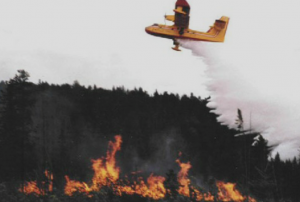 Initially, bucket helicopters were used to scoop water from lakes in the Fly Hills area, dumping anywhere from 360 to 1200 litres of water with each load. 2.-4. Jake Jacobson, c. 1990.